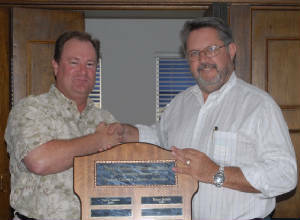 Richard Tressler (left) Vice President - Southern California Marine Association presents the Byron Bronson Award to Bruce Brown (right). 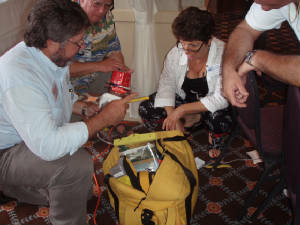 (July 2010) The award is named for the late Byron Bronson, former President of SCMA and a long time member of the Board of Directors. The award recognizes outstanding service to the Southern California marine industry.